Senior meds by mail is an excellent way to obtain those essential prescription medications while saving money and time. However, for those choosing this method of getting medications, it is important to keep safety in mind and do the appropriate research. Dealing with reputable pharmaceutical companies is essential. 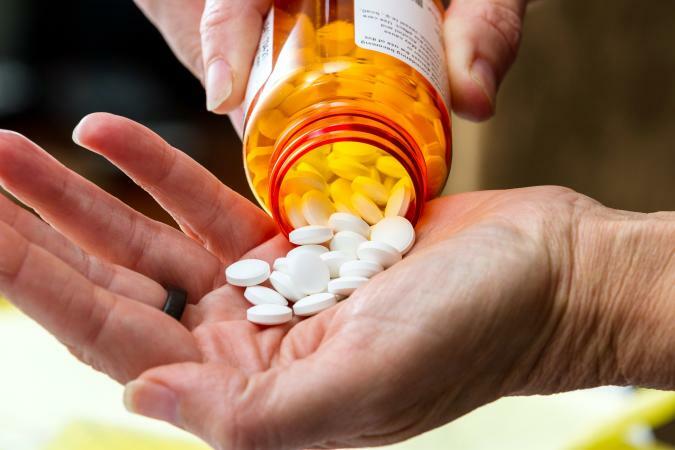 This can be a very cost-effective option, which is an important consideration for those who take maintenance medications. Prescription medications can be very expensive, and for many, costs seem to be going nowhere but up. Because of the lag time between ordering and receiving medications by mail, mail-order pharmacies will often provide medications in bulk. For example, a prescription that is filled by a standard walk-in pharmacy may only provide a month's worth of medication, whereas a mail-order pharmacy may offer 90 days worth. In most instances, mail order pharmacies will refill automatically unless directed otherwise. Buying in bulk is often cheaper, but that's not the only reason that ordering senior meds by mail can be the more affordable option. Because of the volume of business that they do and the lower overhead, such as maintaining a brick and mortar store, numerous employees, and so on, mail-order pharmacies can offer lower prices in general. Many prescription plans cover this convenient and less costly means of obtaining medication, making this option readily available to many consumers. There are two primary ways of obtaining senior meds by mail. One is working with a regular walk-in type pharmacy that also does mail-order prescriptions, such as Walgreens and Walmart, among others. The other is to deal with pharmacies that are just mail-order, such as those typically found online. The strictly mail-order sort can be great options for low-cost prescription drugs, but it is absolutely essential to do real research to ensure that you are dealing with a reputable pharmacy, and not getting counterfeit or fake medications. You want to be sure that you are dealing with a place that you can trust to provide the correct medications every time. Check with the Better Business Bureau and your state and local agencies for any problems or complaints. Verify all contact information yourself. Make sure that you can speak to a pharmacist if you have any questions about your medications and find out how customer problems or complaints are typically resolved before you start dealing with the company. The old adage applies: if it seems too good to be true, it probably is. Don't be lured by ultra-low prices to choose an online or mail-order pharmacy that you are not familiar with or one that is little known or has only been in business a short while. Only choose mail-order medication suppliers that you can feel confident about; providers with a solid history of safety and customer satisfaction. If you have Medicare Part D or the Medicare Advantage Prescription Drug Plan, your policy will likely refer you to an approved mail order pharmacy. You may also have options from which to choose. AARP endorses Optum Rx as their preferred mail order pharmacy. Talk with your medical provider to ask if they have a preferred mail order pharmacy that they think works well for their patients. There are other advantages to getting your daily medications through the mail. Some companies offer e-mail reminders when it is time to reorder medications. Being able to order medications in larger quantities helps to ensure that they are always on hand. There's no need to travel in inclement weather or at an inconvenient time to get prescriptions filled. The medications are on their way, soon to be delivered. After doing the research and running the numbers, choosing to get your prescriptions by mail may be the most cost-effective option, as well as the most convenient. When dealing with a reputable company, you still have the advantages of your local drugstore, such as being able to speak with a pharmacist in the event of any questions or concerns about your medications or potential drug interactions. Many medical plans are happy to cover this means of obtaining prescription medications since it costs less. As long as caution and common sense are applied, ordering mail-order medications is an option worth considering.